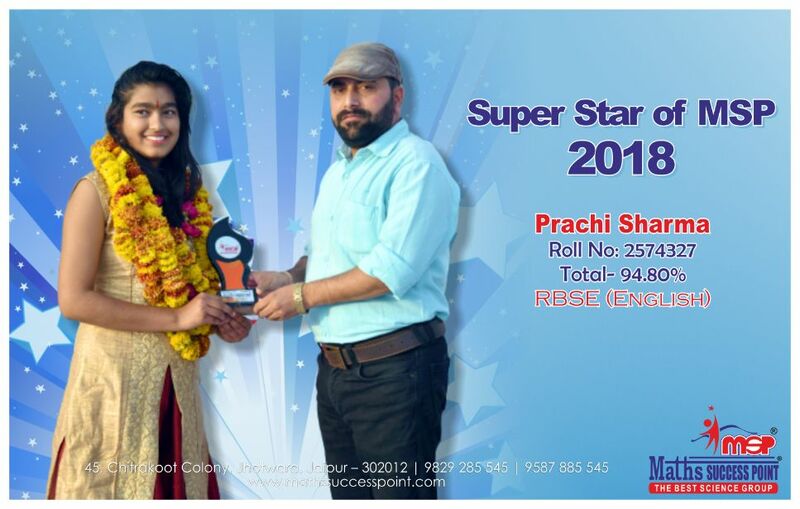 Merit Student of MSP, Miss Prachi Sharma receives a trophy from Anil Sir. She set an example for newcomers and other students by securing a prestigious 94.80% in RBSE, English medium. MSP family wishes her all the best in future endeavors.